What languages does Berlin write in? The riches of Berlin’s multilingual contemporary literature are published and collected in the stadtsprachen magazin: We present the work of 20 translators and 30 authors from 15 languages from the field of polylingual and transcultural literature in a printed German special edition. World literature from Berlin! Softcover, 128 pages with photographs. Available at all Parataxe and Berliner Literarische Aktion events; or for a nominal fee of 10€ plus postage and packing. Can be ordered at info@stadtsprachen.de, in bookstores or directly on the KLAK Verlag website. 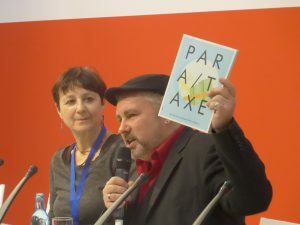 Thursday, March 21st, 13.00 Uhr: Präsentation PARATAXE Bookzine, Leipziger Buchmesse, Halle 4, Stand F100. 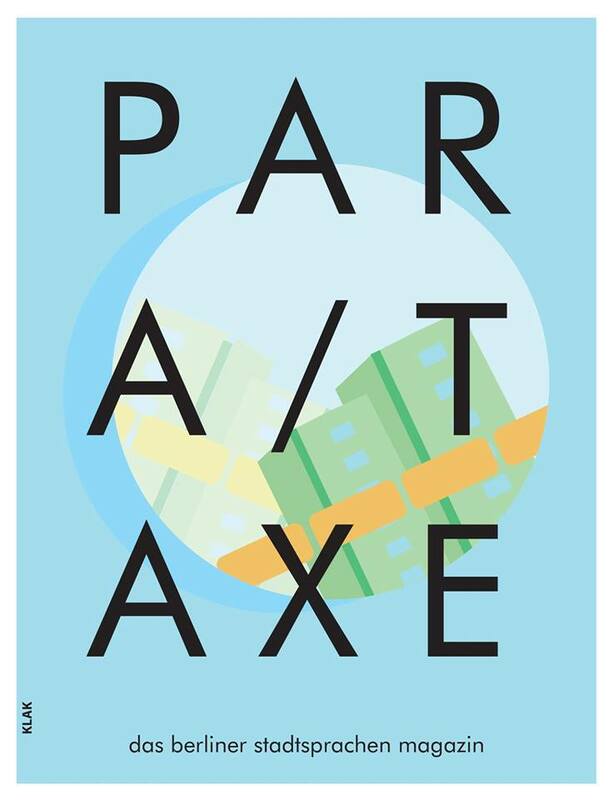 Friday, April 12th, 20.00 Uhr: PARATAXE Print Party: stadtsprachen magazin Launch – at Prachtwerk! 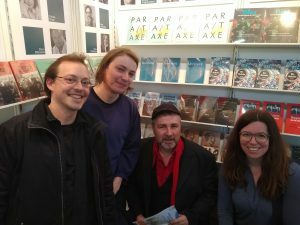 KLAK Verlag, Berlin 2019 All rights reserved. Reprints and duplications of any kind only with permission. Cover/Art Direction: Joey Bahlsen. Layout: Jolanta Johnsson. Print: BookPress, Olsztyn.